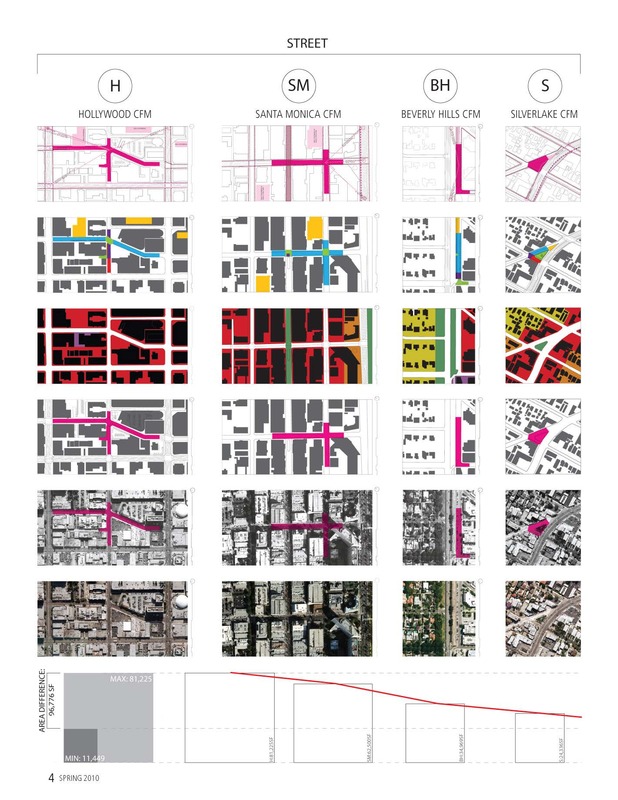 Los Angeles serves as a model of a city that evolved without traditional concerns of centrality and a coherent public realm. As Robert Fogelson points out, Los Angeles is “a city hooked on growth, deeply divided socially, and perhaps too fragmented to generate the kind of public life that could override the destructive consequences of maximizing private profit.” Indeed, the City of Los Angeles does not have a cohesive policy on public space and users often transform existing areas in the public domain into public space by re-appropriating their use, irrespective of their makers’ intent. The recent growth of farmers markets provides an opportunity to explore the complexity of a specific typology of public space that is both intentional and appropriated, and supported by both public and private efforts and funds. 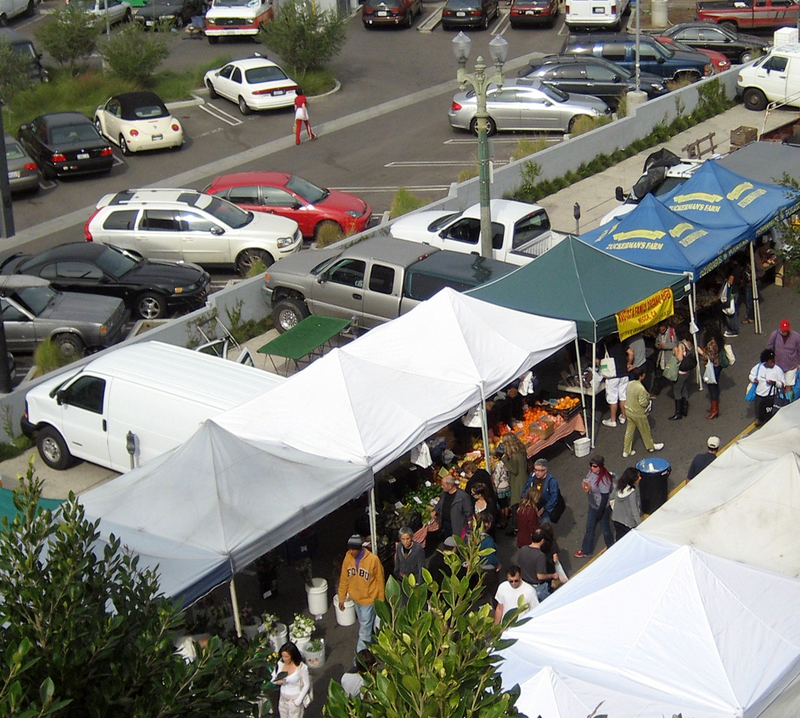 Farmers markets are a current national phenomenon in the urban United States. Their numbers have risen dramatically from 1,755 in 1994 to 5, 274 in 2009, with 124 Certified Farmers’ Markets in Los Angeles County alone. While much of the literature about farmers markets focuses on the socio-economic benefits, little exists on the socio-spatial impact on society and the urban condition. 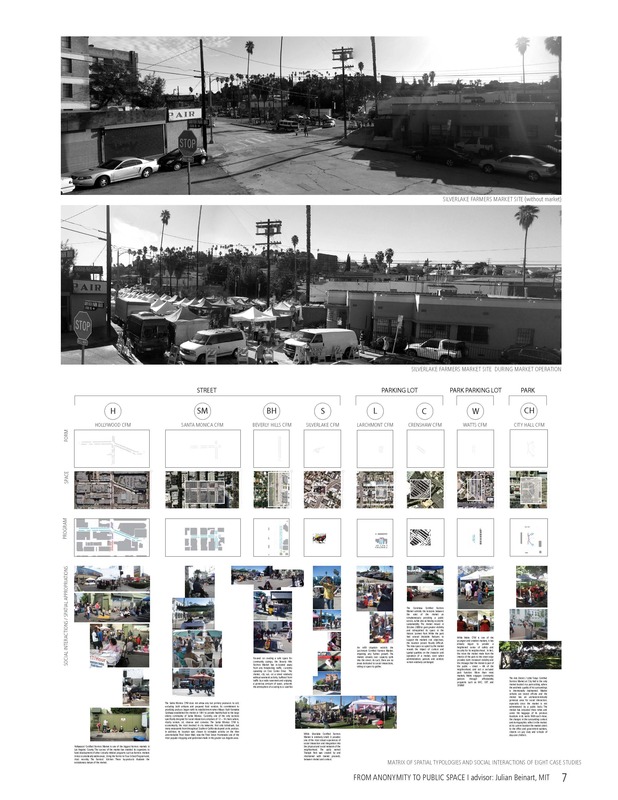 This thesis will explore the contribution of farmers markets to Los Angeles’ immediate public sphere and to the identity of their respective neighborhoods over time by analyzing the socio-spatial qualities of the markets at multiple scales. As a means for public activity, farmers markets provide space for a variety of social interactions; by virtue of their repetitive nature, they also act as catalysts for change of more permanent urban conditions over time. 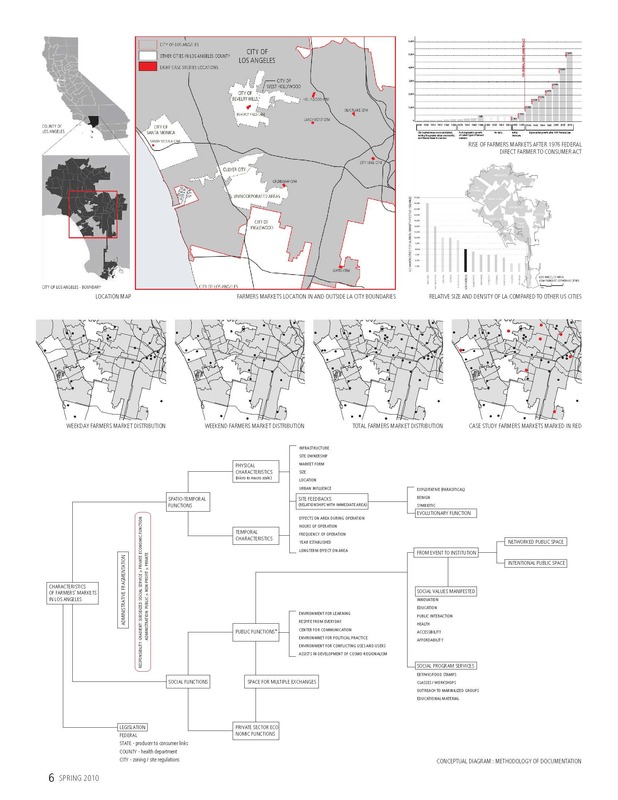 Through an analysis that uncovers how social and urban frameworks are influenced by the spatial properties of the markets allowing for the intersections of a multitude of interests, movements and scales of activities, I aim to understand how farmers markets can better engage with public, non-profit and private interests, social frameworks, their immediate context, the city and the greater region. 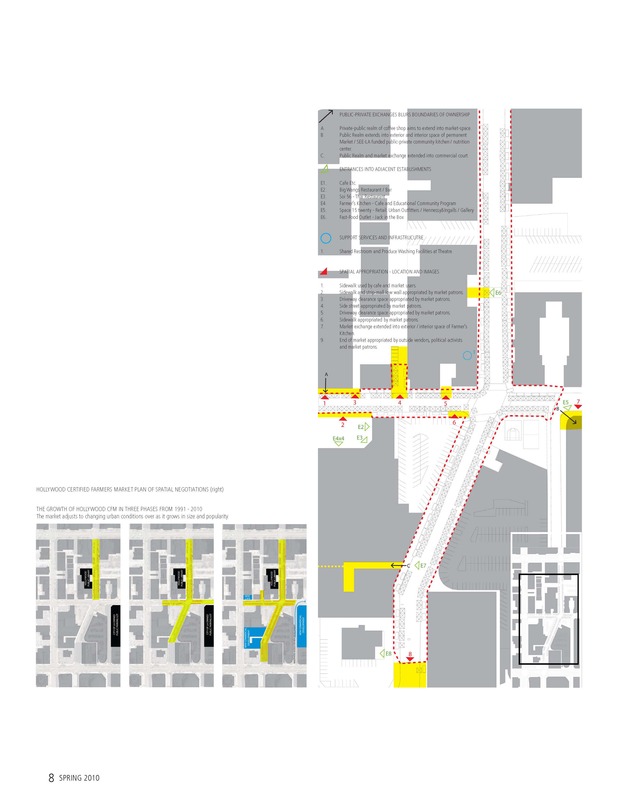 Accordingly, public space emerges not as an abstract concept, but rather a concrete spatial expression of overlapping social, political and economic agendas.